OPM would define the term health benefits plan to include exchange contributions. The U.S. Office of Personnel Management is trying to keep the Patient Protection and Affordable Care Act from stripping coverage from members of Congress, their staff members and dependents. 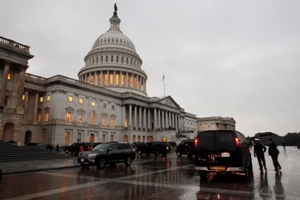 PPACA will require members of Congress and congressional staff members to get their coverage from the PPACA public exchanges starting Jan. 1, but the law contains no provision authorizing the government to help members of Congress and their staff members pay for the coverage. Some PPACA opponents have suggested those affected would have to pay the full cost of exchange coverage themselves. Obama administration officials announced last week that they had come up with a regulatory fix. OPM officials now have filed draft coverage gap regulations. In the past, OPM has never had to clarify the provision, but the agency will now say the provision applies to exchange plans, both for members of Congress and staff, and for retirees, officials said. In many cases, officials said, staff members could go from one type of payroll status to another without being aware of the change. Today, the federal employees’ plan has a “self only” enrollment category and a “self and family” category. In the exchanges, plans may charge rates based on the actual number of people in a family, officials said. When lawmakers and staff members start using the exchanges, the government will provide the same self-and-family contribution level for any individual getting coverage for two or more people through the exchange system, officials said. Are state and federal exchanges different animals?